99 community groups who participated. 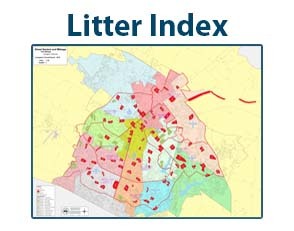 75441 Pounds of litter, debris & bulky waste collected. 815 Miles of streets, roads, highways cleaned & beautified. 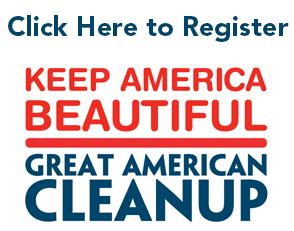 459 Acres of parks/public lands/open spaces cleaned and beautified. 13 Miles of hiking/biking/nature trails cleaned and beautified. 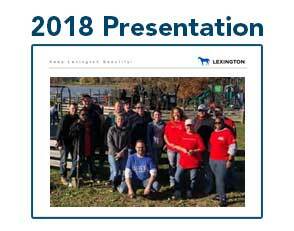 28 playgrounds/community recreation areas built, cleaned, restored, constructed. 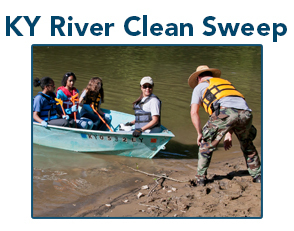 20 Miles of creeks, lakes, shorelines cleaned. 14.1 miles of wetlands cleaned & improved. 6 illegal dump sites cleaned. 11 junk cars removed/collected for recycling. 523 pounds of food collected for use. 71 Pounds of plastic (PET) collected for recycling. 100 Pounds of glass collected for recycling. 73 Pounds of aluminum/steel collected for recycling. 100400 Pounds of paper collected for recycling. 2 Pounds of batteries collected for recycling. 667 Pounds of electronics recycled. 54 garden, landscape, xeriscape and green space areas created or improved. 560 flower & bulbs planted. 32 Bags of invasive weeds collected. 256 adults and 55 children children in attendance.